February’s Light of Change for Moon Lovers – Workshop!!! 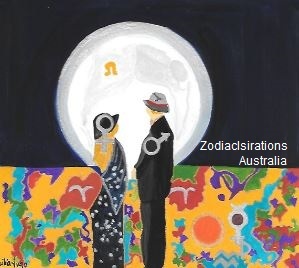 Consulting astrologer, writer & artist inspired by the Zodiac. Plant your intentions to move forward in 2017 on the first New Moon of the year in the Goal Oriented sign of Aquarius. Create your Moon Board Visualisation and learn to work with the Phases of the Moon, planting intentions on January 28 for them to blossom on February 11 with the Lunar Eclipse lightening your uniqueness in an area of your Birth Chart. Want to learn about eclipses, why they occur and the change they may bring for you? February has an eclipse duet. Join me to know the nature of the first Full Moon Eclipse in the Unique Light of Leo on February 11, 2017 and the New Moon Solar Eclipse in Pisces on February 27, 2017 and what special message these Eclipses bring to you. The workshop cost is $70 (Moon Board materials included & Moon Calendar 2017). On enrolment please email Cecilia at stelliumlight@gmail.com or call 0438 131 629 to provide your birth details (date, place and time of birth) for a birth chart snapshot to make the most of the workshop and personalise your experience on the day. And bring a small smiley photo of yourself for your Moon Board.